At Cox Automotive, diversity and inclusion is one of our core values. We’re committed to the advancement of women in automotive and we’re excited to award an outstanding leader advances the industry and gives back to her community. In 2005, we established the Barbara Cox Woman of the Year Award. 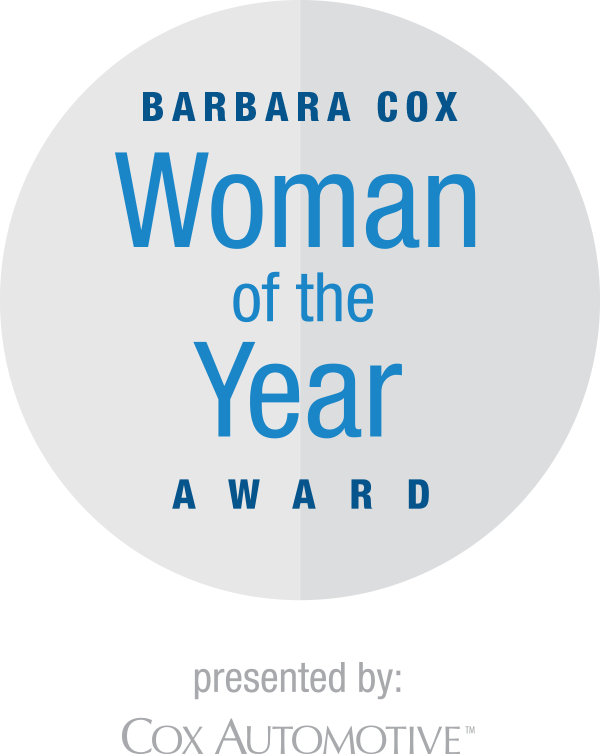 Named after Barbara Cox, the business pioneer who served as a Director of Cox Enterprises – Cox Automotive’s parent company – this annual award recognizes women who share the traits and accomplishments of its namesake. If you know a leader like Barbara Cox who exemplifies a commitment to furthering the automotive industry, business leadership and is a community advocate, we encourage you to nominate her for the Barbara Cox Automotive Woman of the Year Award.